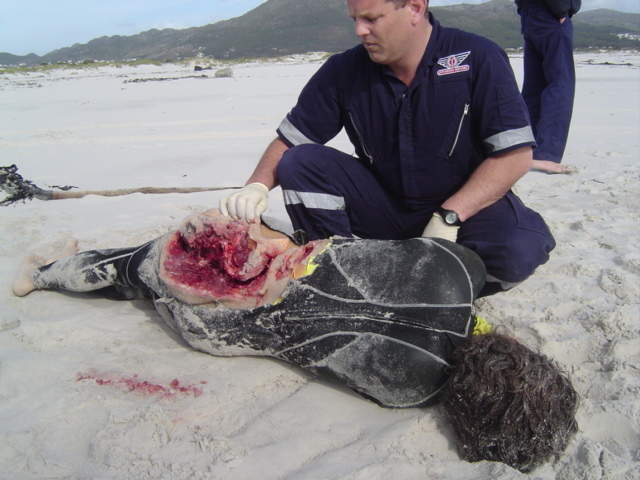 This re-enaction shows the potential severity of a large shark attacking a surfer. UNBELIEVABLE NEWS… hot on the heels of last week’s fatal shark attack in Western Australia, French Authorities are reporting today that 22-year old surfer Alexandre Rassica was attacked and killed in the Indian Ocean, in waters off of Reunion Island. This makes for the third deadly shark attack since last year, with attacks also taking place in June and September of 2011. The story is being covered by Reuters, The Huffington Post, and the Washington Post, among others. I was with my brother and his girlfriend, we launched the alert, warned the emergency, people have to water it with Alexander the successful bring him to shore, my sister in law have started the massage while waiting for rescue They arrived very glass but in vain … his heart is not gone. I offer my condolences and I have a thought for the relatives and the family of Alexander.